Life is too ironic to fully understand. It takes sadness to understand happiness, noise to appreciate silence and absence to value presence. And it takes 5 long hardworking days to loveee the weekend. I miss writing. I feel so deprived due to lack of time. I used to be able to blog on a daily basis. Just writing about everyday happenings helped me to express and unload my burdens. Not being able to do that now due to exhaustion and lack of time….I don’t know, I feel so bottled. I am one who needs to write on a regular basis just to clean up and organize my thoughts. Looking forward to do some blogging this weekend. Please look forward to it. 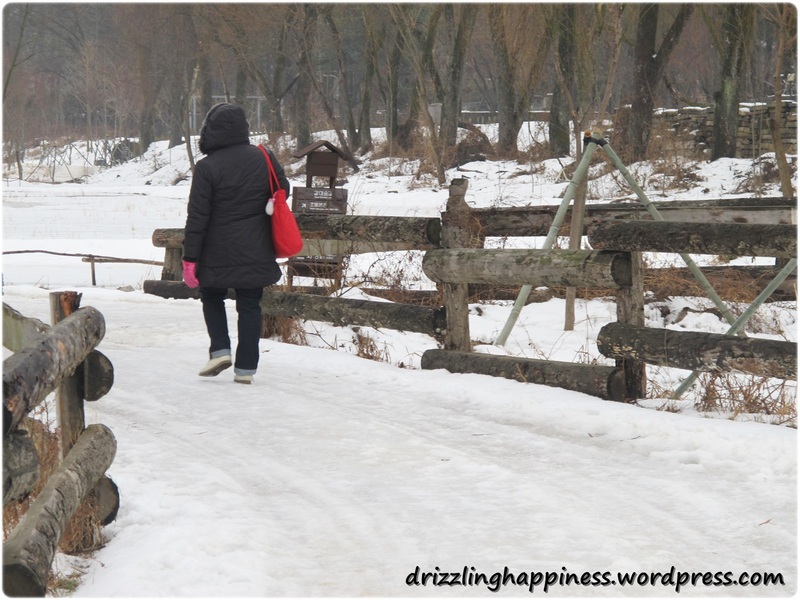 Photo taken in Dec 2012 in Nami Island, Korea.